Improper Breaking In New Leather Boots Can Turn It Into A Nightmare. A pair of leather boots weather it is for style in general or for security at workplace, at surely, creates a style statement. While there are a number of shoe boutiques that sell some of the most fashionable leather boots out there, you might not be ready to just wear the boots out of the box. 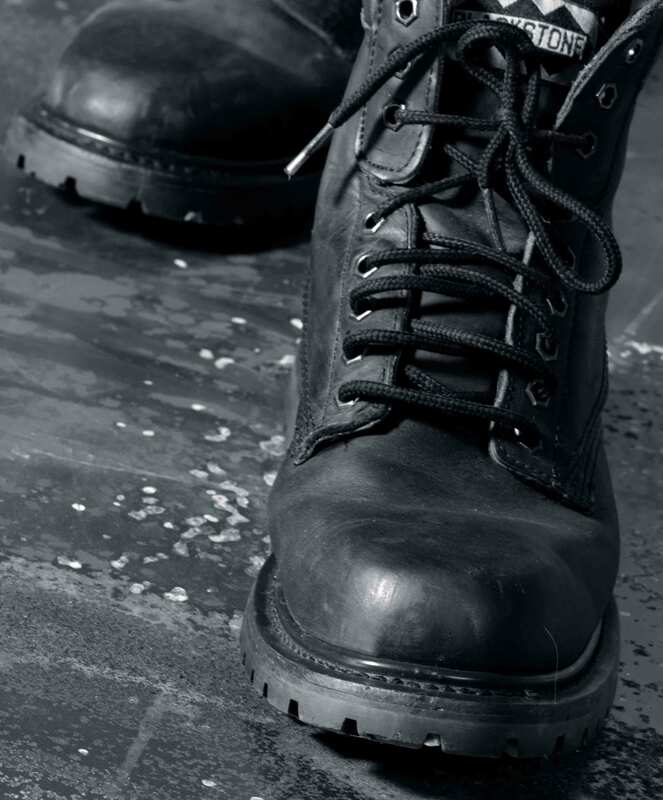 What Does 'Breaking Into Leather Boots' Mean? How To Break Into Leather Boots? 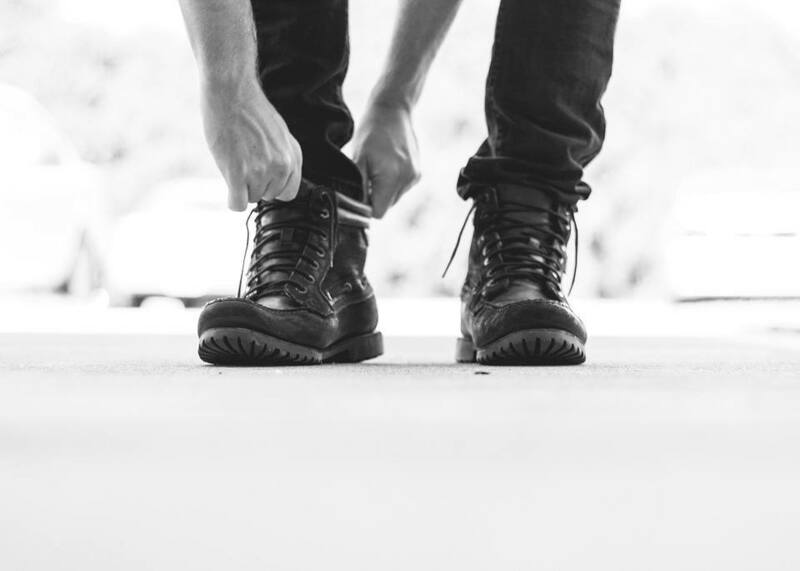 If you’re not already familiar with the term, breaking into your leather boots simply means to soften them up so as you can put them on comfortably. This is done by stretching and gently crushing the boot so as the leather fibers loosen up. The lather goes through many machine processes during the manufacturing that makes it extra stiff. Not only this, the chemical treatments to the leather furthers this stiffness. The stiffness is as high as it can peel your feet skin off, cause blisters on and around the toe and heel area, crush your claw and sore the arch area. If you’ve just invested in a great pair of leather boots, make sure you break into them properly before wearing them. Otherwise, your newly style purchase can turn into a nightmare to you. The techniques to soften the boot up should go hand-to-hand with the pair's protection as well. Remember, we want to break into the new pair but in the process don't want to damage it. So have patience and don't be hard on them. While some people are ready to sit it out, there are others who can’t wait to wear the boots. Depending on how long you’re ready to wait, here are some of the best ways to break into your leather boots. In the morning, the weather is cooler and our feet is at its true size. 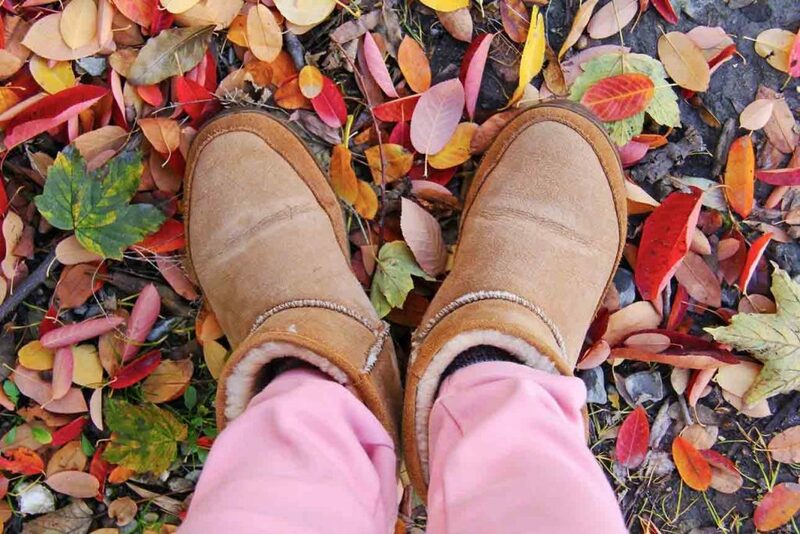 So wear your new leather boots, in the morning, and do some gentle walking for as long as you feel comfortable. It won't harm your feet but push the pair for adjusting to the foot shape. Don't forget wearing a thick pair of socks. In the afternoon, our feet get larger and bulkier due to the warm weather and sweat. Do not wear the new shoes at this time or you will wound yourself. Instead, wear the older ones. In the meantime gently bend, skew, wring, twist your new boots. Be a little hard while crushing the hard areas of the pair like toe, heels and seams. Don't worry, it won't damage them, just be gentle. 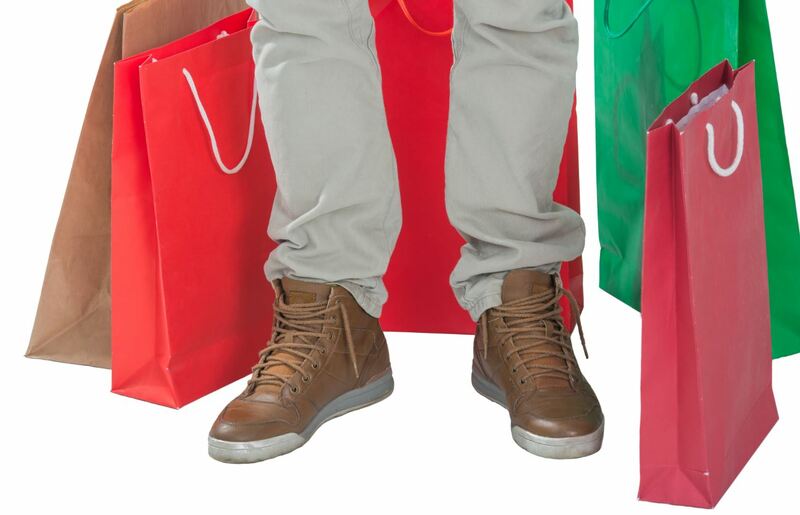 Fill up two zipped plastic bags with water, squeeze all the air out of the bag and shove the bags into the shoes. Take only as much water as much is necessary for creating a bulge in the shoes. Put the pair into freezer and wait overnight. Once the water frozen it expands eventually loosening the leather as well. Don't pull out the frozen bag abruptly but slowly and gently. Repeat the process daily until the boots are comfortable to your shoes. If you’re worried about water leakage, use a double zipped plastic bag. 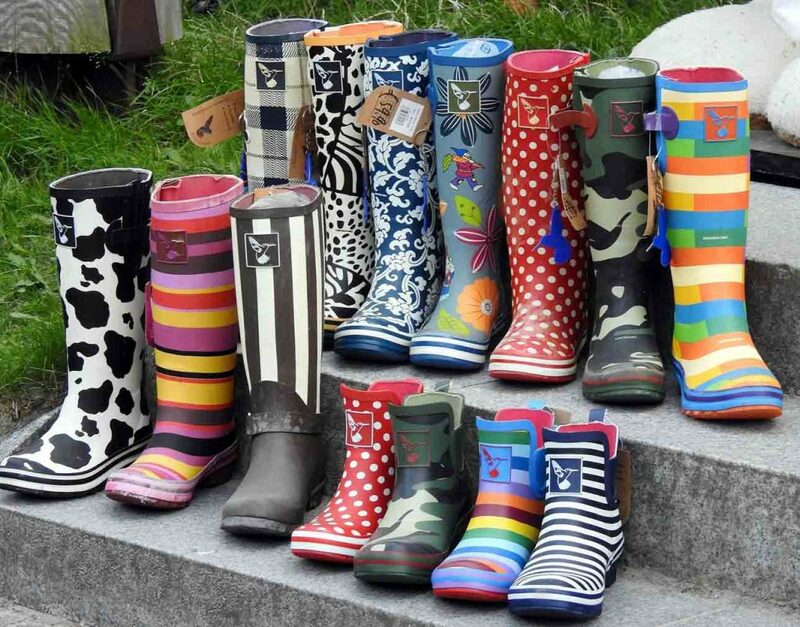 You might encounter with some people suggesting to fill up the boots with water. Please don't listen to them as this solution can damage your boots causing the leather to tear and the insides of your boots to rot. As a professional solution, you can use alcohol. The alcohol softens the leather fibers too quickly but it's a little harsh. So as a best solution dilute it with water. Make a mixture of 30%-40% of alcohol and rest water. Pour it into a spray bottle. Don't spray it on the upper or outer area. Just spray a few puffs inside the boot and leave it overnight. It acts quickly soften up the boots. Repeat it daily. If you don't want to pinch your feet at all during the process of shoe softening, you can use a wooden foot better known as a shoe stretcher as a best way to break in your shoes. You can insert the wooden foot into the boot and leave it for a few days. 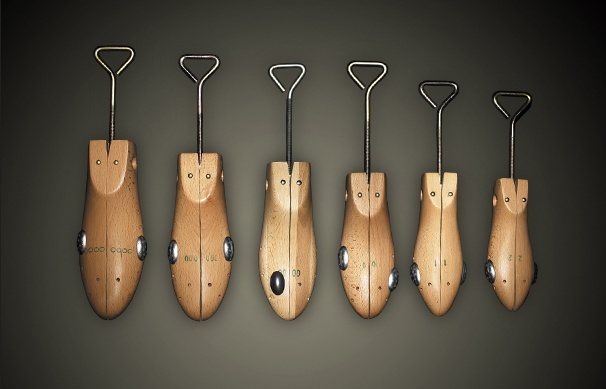 Keep increasing the width of the wooden piece, according to your foot, with the mechanism it has. Using a Carefully Designed Shoe Stretcher is a great choice. You can also try mink oil to break into your new leather boots. Just take a pack of mink oil (it is a grease-like thick paste), heat a bit with a dryer to make it running liquid. Now take a piece of cloth, dab into the mink oil and apply to the whole leather area of the boot. Make sure you cover the shoes with a thick layer of the oil. Now further melt this oil with dryer so as it seeps perfectly into the leather pores. Leave it overnight. It's a great trick. You will hardly need to do it the second time in order to loosen up the boot leather. If you still feel to repeat the process, ensure a gap of one week. The mink oil can cause a slight change to the color of the leather. So before applying it to the whole boot, test it on a smaller area if you are happy with the resulting color or not. Cover up your feet well. Wear double socks in order to prevent the stiff leather from coming in contact with your foot. Wear a thick cotton sock followed by a synthetic socks pair. This helps you to slip your feet into the boot easily and also prevents the moisture from seeping into the socks. Wrap your feet with some thick band-aids. Such band-aids, especially designed for protecting against new shoes, are easily available over the counter. They are designed to wrap around toe, heel and ankle area. Just ask your chemist. A professional cobbler can assist you in loosening and softening up your boots. 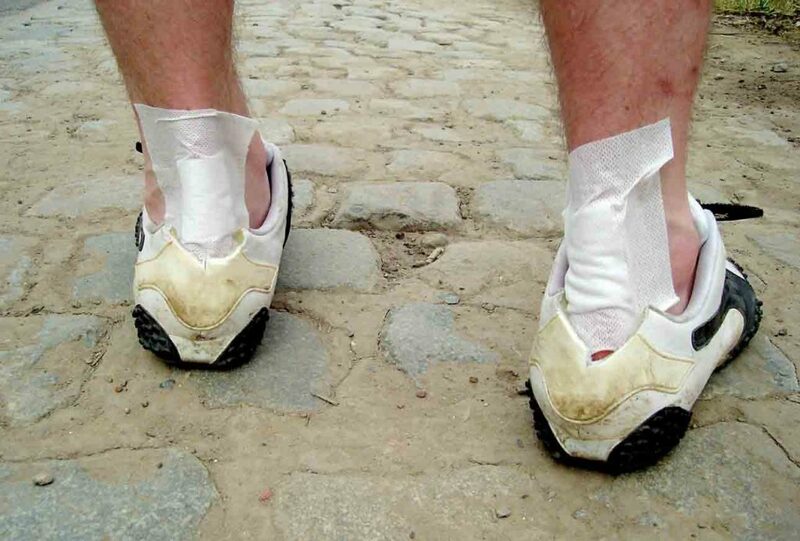 You might need to shell out a little extra money to get this done, but it’s worth it since it helps avoiding those painful blisters and any damages to the shoes. No matter what technique you're trying to break into your leather boots, basically, you are trying to expand the leather and it's fibers. In a worst case, the lather may become unable to bear the expansion and might tear apart or, at least, some cracks may appear. So always make sure you apply a layer of conditioner before any leather softening process. The conditioner will prevent your boots from cracking when they expand and will also help in the expanding process. When applying the conditioner, take off the laces since this will help in an even application and you will manage to apply the conditioner to the tongue of the boots as well. Try doing this at least once a week. 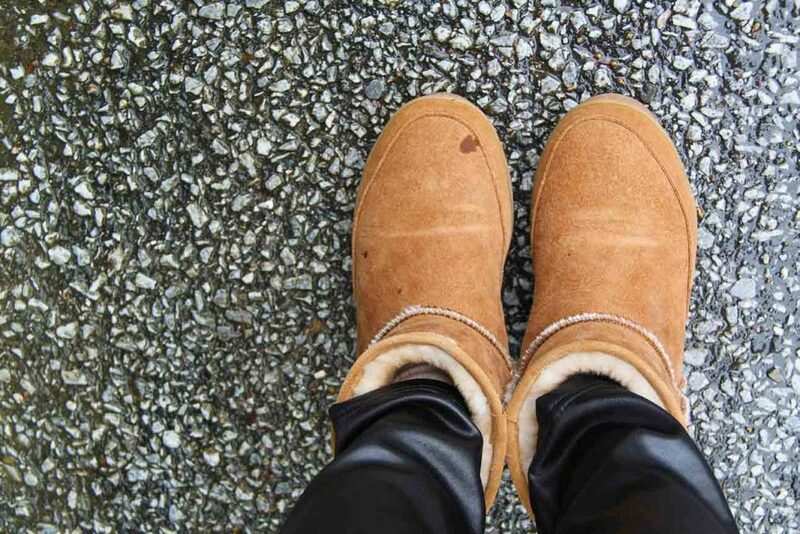 This procedure helps your boots last longer and also ensures they stay soft. Do not apply too much conditioner since this will leave the boots looking sticky. Always apply a thin layer and leave it for a while before you wear the boots. These conditioners prevent water from seeping into your boots and also give it a good shine. It locks in the natural fats and hydrates the boots thus ensuring it does not dry up and crack. While there are a number of le﻿﻿﻿﻿ather conditioners available in the market, make sure you buy one that has animal based oil conditioners. Do not buy conditioners that are greasy or contain petroleum jelly. These conditioners weaken the leather and the greasy formula makes dirt and dust stick to your boots making them look dirty and dull. 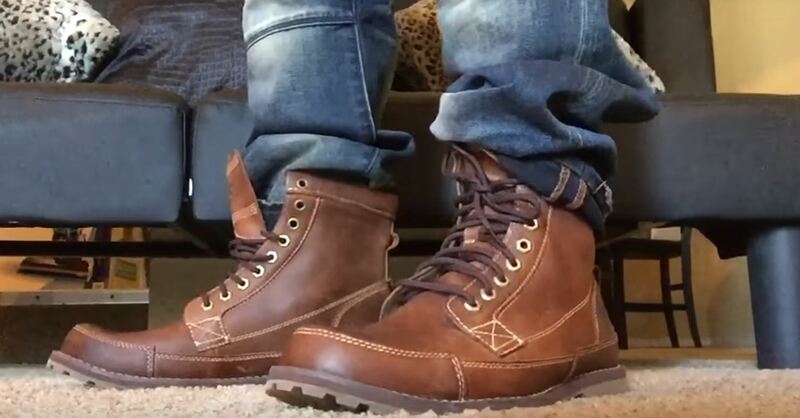 No matter how excited you are to get into your new pair of leather boots, it is essential you break into them the right way before you start wearing them. This keeps your feet safe from blisters which are painful and take ages to heal and it also helps your feet breathe. Not breaking into your boots can also damage your boots properly can lead to some irreparable cracks and damages and those are not covered under the warranty as well. You know the right way to soften them up. Hope, you will follow the procedure.